The Union Cabinet chaired by Prime Minister Narendra Modi on 15th April 2019, has approved to the Memorandum of Understanding (MoU) between India and Bolivia in the Field of Traditional Systems of Medicine and Homoeopathy. 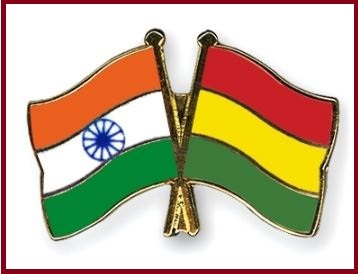 India and Bolivia MoU were signed in Bolivia in March 2019. India and Bolivia MoU will provide a framework for cooperation and will be mutually beneficial between the two countries for the promotion of traditional systems of medicine and homeopathy. The MoU will lead to promotion and propagation of Traditional Systems of Medicine and Homoeopathy in Bolivia and will boost the importance of AYUSH (Ayurveda, Yoga, Unani, Siddha, and Homoeopathy) systems of Medicine in Bolivia. The MoU will also cater to the exchange of experts for training for the practitioners and Scientists undertaking collaborative research, which will lead to new innovations in drug development and practice in Traditional Systems of Medicine.